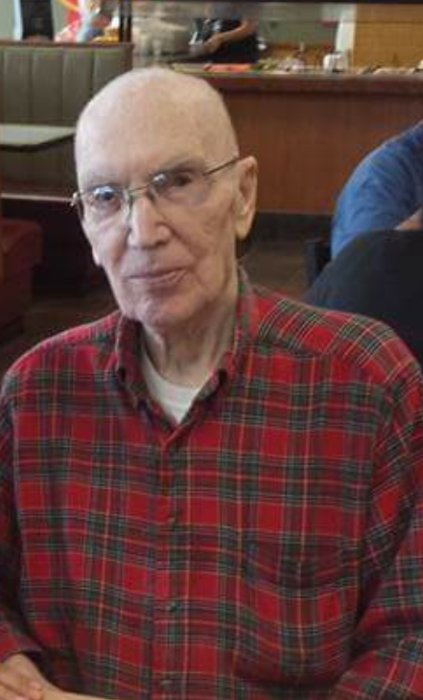 John K. Jasinski, 87, of La Porte, passed away peacefully on Tuesday, April 10, 2018 at his home with his family by his side. John was born in Poland on July 8, 1930 to Martin and Helen (Stolorewicz) Jasinski. Surviving are his sister, Mary Jankowski of Lebanon, TN; step-children, Douglas Wilhelm, Deb Wilhelm, Lorena Wheaton, Christine Wheaton, Robin Benkowich; 8 grandchildren; 25 great grandchildren; and 11 great-great grandchildren. He was preceded in death by his parents; his wife, Carol (Wilhelm) Jasinski; 1 brother; 1 step-brother and step-sister; companion for many years Josephine Cameron; 1 granddaughter; and 1 great-granddaughter. John was a member of Lighthouse Assembly of God Church, and of the Kingsford Heights Moose Lodge in Michigan City since 1955. Cremation has taken place with Cutler Funeral Home and Cremation Center, La Porte. At Johns request no services or viewing will take place. Memorial contributions may be directed to the charity of the donors choice.